Before covering SF Indiefest, I expected that by now, the 4th day of watching films for 10 hours straight, I would be starting to fade a little. At this point, I have seen over 40 films in under two weeks, a number I’d never approached before. 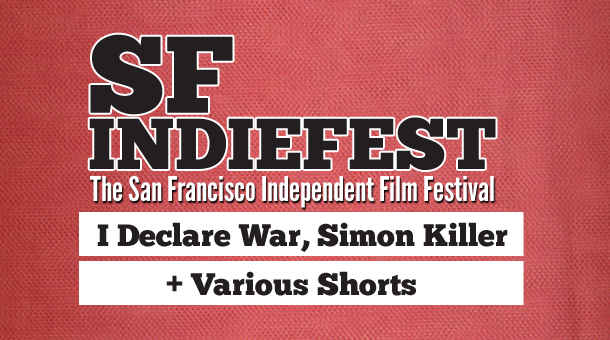 My brain should be fried by now (my sleep-deprived body sure is), but the films being shown here at SF Indiefest are so varied, fascinating, and of such high quality that my sprint through the festival’s lineup has been nothing but pleasurable. All I heard when walking around the festival was how strong this year’s lineup is, and I totally agree. 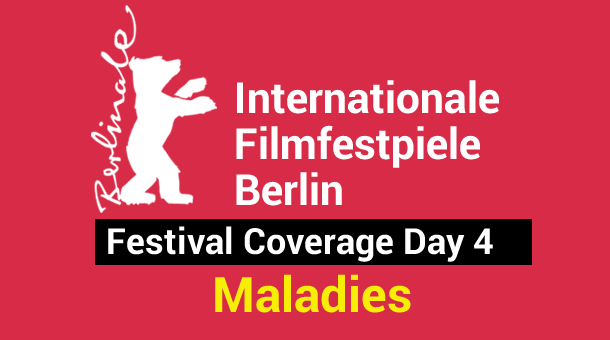 On the docket for day 4 of the festival were two shorts programs: Defying the Limits, a collection of boundary-shattering films that push the medium in new directions, and An Animated World, which, as the title would suggest, showcased several animated pieces. Next up was Jason Lapeyre and Robert Wilson’s I Declare War, in which we watch a group of kids play a pretend game of “war” in the woods that begins to feel more real than they’d planned. The final film of the day, Antonio Campos’ Simon Killer, takes an unsettling look at a young man’s descent into madness. Stay tuned to Way Too Indie for an incoming review bonanza of the shorts from the festival. For now, here’s a preview of the shorts shown on day 4. To watch experimental film is sometimes uncomfortable, often confrontational, and always enlightening. These films can be difficult to watch, as they typically aren’t clear in their intentions and ask us to interact with them on a high emotional and intellectual level. They seldom cater to a popcorn-eating, blockbuster consuming audience; these films tell their stories on their terms, without compromise. The short films in the Defying the Limits program play by their own rules and urge us to look at film from a new perspective. In Ewan Bailey’s DeafBlind, a deaf-blind woman explores her relationship with god when, unbeknownst to her, a mysterious man with unknown intentions appears in her home and begins to watch her. Sonia’s Story, a Sergio Leone inspired short by director Lorenzo Guarnieri, follows the titular character on her journey from childhood to adulthood in a politically turbulent 1970s Italy. In Christopher Graybill’s strange and enigmatic The Great Gastromancer, we observe Charlie, a ventriloquist, and his dummy, Rudy, as they struggle to fit into a world that doesn’t need or want them. All three movies are definitely worth keeping an eye on. The second shorts program for the day focused entirely on animated films, and the selection presented was top-notch. Some shorts were wacky and comical, some were just plain gorgeous to look at, and some were irresistibly heart-warming. The two claymation shorts in the program, Alex Bruel Flagstad’s The Hopper, and James Stewart’s Foxed! both packed an emotional punch, but differed greatly in tone and setting. The Hopper is a cautionary tale about two kids in the murderous streets of west Baltimore who try to rip off some local drug dealers and find themselves in deeper trouble than they were prepared for. Foxed!, is a gorgeous, nightmarish nugget about a young girl enslaved by foxes who makes a last-ditch effort to escape their clutches and return to her home, but discovers that her mother, bizarrely, hasn’t missed her at all. Evlyn Mcgrath’s dark, digital playground, Here to Fall, Rosa Peris Medina’s hand-drawn tale of physical discovery, Libidinis, and Alessia Travaglini’s haunting Silenziosa Mente are all drop-dead gorgeous. If you were to ask me to explain exactly what these shorts are about, I would be evasive, but their visual beauty alone warrants a second look. Retrocognition, by Eric Patrick, the most visually striking short in the program (that’s saying a lot), takes different images, sounds, and tropes from retro American sitcoms and radio dramas, and cuts and pastes them together to unsettling (and often darkly funny) effect. Fernando Maldonado and Jorge Tereso’s Shave It is a charmingly fun story about a monkey who is driven out of his jungle home, shaves off his body hair to resemble us, and works his way to the tip-top of society. The final short of the program, The Missing Key by Jonathan Nix, is one of the most heart-melting movies I’ve seen in a long time. It follows a young musician and his cat in a lushly rendered 1920s Venice as they compete for the top prize at the prestigious Abacus Scroll musical competition. To describe it as eye candy would be an understatement. Absolutely a must-watch, please seek it out. A group of kids play a fiercely competitive fantasy game of “war” in a forest, after school. Their “game” is played with sticks in place of guns and water balloons in place of grenades, but their artillery is very real in their minds, as real as the strong emotions they carry into the “game” from the real world. As their real-life feelings of jealousy and resentment toward each other begin to dictate the decisions they make, their fantasy game escalates to very real, dangerous levels. Jason Lapeyre and Robert Wilson’s I Declare War stars a very talented young cast, much like SF Indiefest’s opening night film, Michel Gondry’s The We and the I, and tells a coming-of-age story that is refreshingly intelligent, savvy, hilarious, and universally relatable. More importantly, it’s pure, unbridled fun at the movies. We occasionally see the sticks and slingshots the kids hold in their hands as the kids see them in their minds, and the image of kids in print t-shirts and shorts running around with real-life bazookas and automatic rifles is as entertaining as anything I’ve seen at the festival thus far. The action is shot much like the classic war movies the characters love (Patton, Full Metal Jacket). The comedy works quite well, and the clever one-liners are genuinely funny, not overly cute like typical kid-movie zingers. The performances by the actors are impressively sincere. When the kids argue, the urgency and fire behind their cutting words feels very real, and the scenes unfold organically. Like in The We and the I, the dynamic between the different groups of kids is constantly shifting and evolving, and the escalation of emotions is handled with care so that every moment is earned. Though the premise at first seems innocuous, the stakes become very real by the end, which is the key to making a story work, and separates good movies about kids from the bad ones. The news that I Declare War has been picked up by Drafthouse films for distribution is fantastic, as fans of movies like The Goonies and Stand by Me would be cheating themselves to miss it. Writer/Director Antonio Campos was in house at the Roxie to present his unnerving meditation on loneliness/madness, Simon Killer. Simon, played by the uber-talented Brady Corbet (Martha Marcy May Marlene), is a recent college graduate who, reeling from a recent break-up, travels to (a beautifully photographed) Paris and bums around looking for love to fill his void. He meets a prostitute named Victoria and the two fall hatch a dangerously risky plan to extort Victoria’s clients. Corbet commits himself to the role completely, and I defy you to not have nightmares about him after the credits roll. This could possibly end up being my favorite film of the festival, though I’ll bite my tongue until I see the rest of the films. STAY TUNED: to Way Too Indie for our full review of Simon Killer which will be posted around the film’s release, April 26th. PLUS, Antonio Campos was nice enough to give us an interview about the film, which we will be posting around the release date as well. Campos gives fascinating insight into his filmmaking process, and any aspiring filmmakers and film geeks shouldn’t miss this look inside the techniques and influences of an incredibly talented director.